Tetherball is that classic recess game we all know and love. Fun alone or in groups, tetherball is easy to play and beloved on playgrounds everywhere. 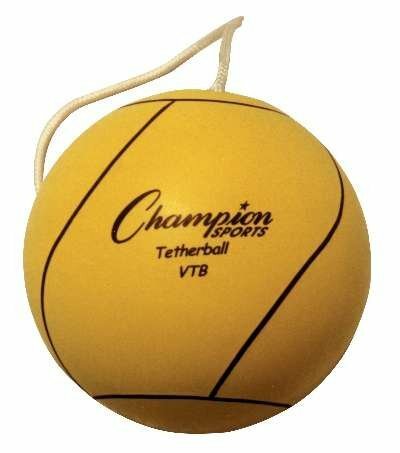 The Champion Sports Tetherball features a reinforced optic yellow rubber cover and a two-ply butyl bladder that keeps air in. The tetherball comes complete with a nylon tether, so all you have to do is connect it to a tetherball pole and watch as students flock to play! Reinforced rubber cover with a nylon wound butyl bladder.